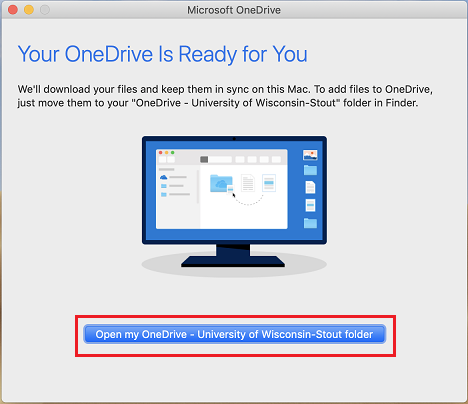 This article covers how to start and use OneDrive on the Mac. Pressing the command + space bar to bring up the Spotlight Search. 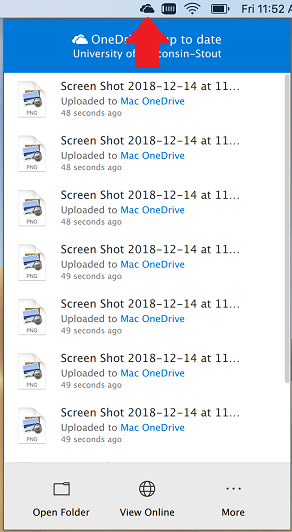 Search for OneDrive and press enter to open. 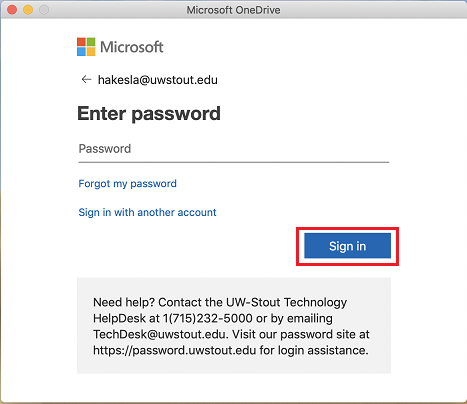 At the prompt, enter your full UW Stout email address and click Sign In. Enter your password and press Sign In again. The next window will ask where the OneDrive folder should be located. By default, it is nested in your home folder. This can be changed by clicking Change Location. Most users will be ok with the default location and can click Next. 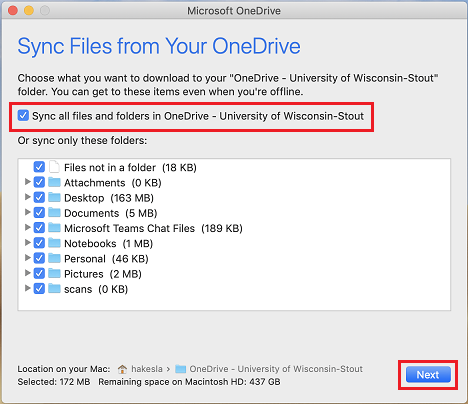 There is now the option to choose which files should be synced with OneDrive. The default, and recommended, option is Sync all files and folders in OneDrive. However, you can deselect folders you would not like to sync. When your selection is complete, click Next. Setup is now complete. You can just click Open my OneDrive or close the window. 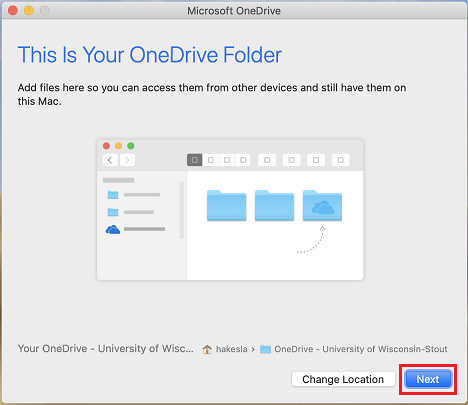 If the default location was used, your OneDrive file will be in your home folder with the Documents, Pictures, and Desktop folders. You can also find it in the Favorites sidebar when the file window is open. You can open files from and move files to this folder. 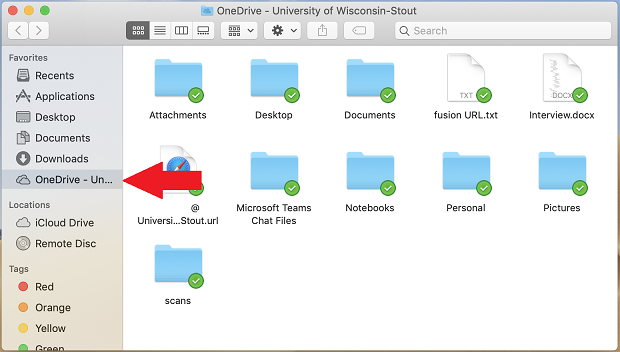 The green check-mark seen beside the files and folders indicates that the file is synced with both your computer and OneDrive. 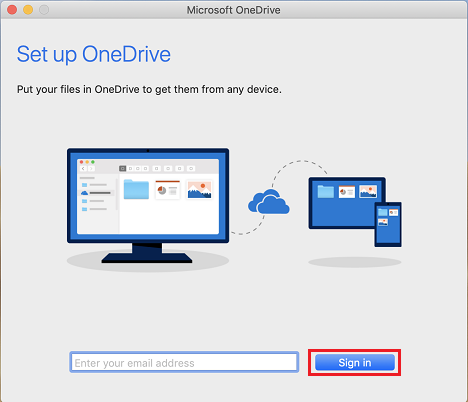 To move files to OneDrive, simply drag-and-drop the file into the OneDrive folder. You will see a blue, circular arrow while the file syncs and a green check-mark when it is complete. 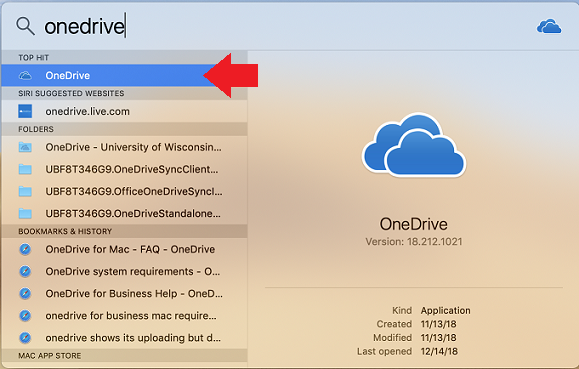 If a lot of files are being moved, you can check the sync status from the top navigation bar by clicking the OneDrive icon. This will also show you the most recently synced files.